[map] [street view] Just northeast of the intersection of Wire Road and City Bridge Road southeast of Wiggins. Co-located or beside WZKX. [Picture] Image of an Insignia HD portable's display showing the Radio Text and PI (call sign) RDS fields. 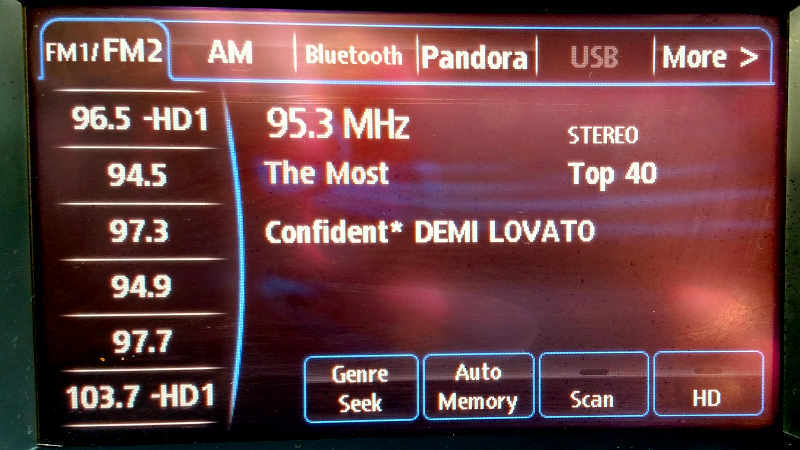 [Picture] Image from a Mazda sedan's radio, showing the PS (station name), Radio Text and PTY (format) fields, from August 2017. WZNF started out as WLUN, a class A station licensed to Lumberton. The station got an upgrade to class C1 with increased coverage, and now competes in the Biloxi-Gulfport metro area. Before the move to classic rock, the station was WLNF (Live Ninety Five), a straight-up rock station. 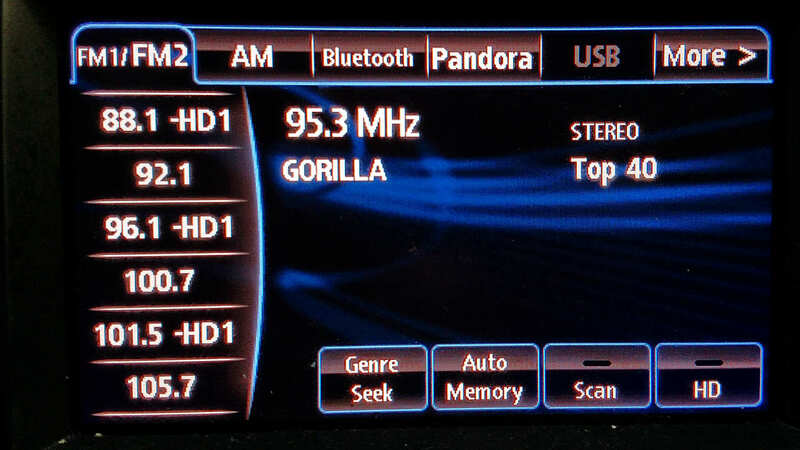 Despite being the only heritage classic rock station on the Mississippi gulf coast, the owners flipped the format to top 40 and rebranded the station as "The Gorilla" in early April of 2014. They are now going head to head with the small class A competitor "107.1 The Monkey".